In addition to the more serious discipline tools under the Uniform Code of Military Justice, commanders and supervisors have a diverse set of administrative tools to assist in correcting inappropriate behavior. Counseling, admonitions, reprimands, and extra training are tools which, while deriving their status and authority from unit commanders, are usually delegated down the chain to the supervisory level. "Administrative action. A commander may take or initiate administrative action, in addition to or instead of other action taken under this rule [e.g., NJP, court-martial], subject to regulations of the Secretary concerned. Administrative actions include corrective measures such as counseling, admonition, reprimand, exhortation, disapproval, criticism, censure, reproach, rebuke, extra military instruction, or the administrative withholding of privileges, or any combination of the above." 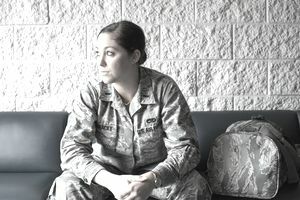 In the military, counseling can be formal or informal; verbal or written. Most military personnel are counseled to one degree or other several times per day. Enlisted soldiers, however, tend to envision the more formal written counseling, typically used to inform of minor infractions or performance deficits. For these purposes, most military branches have printed forms for counseling session documentation but many supervisors prefer to document a counseling session via written letter. While the effects of a single counseling session may not seem to hold tremendous significance, one should be aware that counseling which documents inappropriate behavior can be used at a later time—for example, in support of an administrative demotion action or administrative separation, or in justifying lowered performance evaluations. The only difference between an admonition and a reprimand is the degree. A reprimand is more severe than an admonition. As with counseling, admonitions and reprimands can be verbal or in writing. Unlike counseling, admonitions and reprimands are censures, meaning one did something wrong. Records of admonitions and reprimands can be filed and later used to justify more serious measures, such as nonjudicial punishment actions, administrative demotions, and administrative separations. One should be very careful when providing a written response to counseling, admonitions, and reprimands, as any response becomes part of the written record. The same is true about refusing to sign receipt of counseling, admonitions, and reprimands. The term extra military instruction (EMI) is used to describe the practice of assigning extra tasks to a service member who is exhibiting behavioral or performance deficiencies for the purpose of correcting those deficiencies through the performance of the assigned tasks. Normally such tasks are performed in addition to normal duties. Because this kind of leadership technique is more severe than nonpunitive censure, the law has placed some significant restraints on the commander's discretion in this area. The authority to assign EMI to be performed during working hours is not limited to any particular rank or rate but is an inherent part of the authority vested in officers, NCOs (non-commissioned officers), and petty officers. The authority to assign EMI to be performed after working hours rests with the commanding officer or officer in charge but may be delegated to officers, petty officers, and non-commissioned officers.